Law firm is going after GoPro for two different ways a video camera can allegedly lead to a fatality: the camera does not kill you, using the camera kills you???? Not the only ways. Better the issue is the failure to warn that doing stupid things to try and become famous might kill you? A press release went out from a large northwestern law firm looking for people who had been injured or died wearing GoPro Cameras. The first cause of accidents targeted were accidents due to GoPro’s interfering with Avalanche Beacons. See Electronic gadgets, including video cameras interfere with Avalanche Beacons. The second was head injuries from mounting GoPro Camera’s on a helmet. Both arguments have major flaws. The first claim that GoPro’s interfere with Avalanche Beacons is true. However, any electronic device interferes with an avalanche beacon. If your cell phone is close to your beacon and rings during a search for you, you may not be found. However, cell phones will cause less interference because a phone is shielded. Cameras, video cameras and other electronic devices have less shielding so they create more interference. Put a video camera on your chest, an MP3 Player in your pocket and a walkie-talkie on your chest and you’ll never be found. In researching the article Electronic gadgets, including video cameras interfere with Avalanche Beacons I did not find any electronic device that stated it may interfere with a beacon. Some electronic devices said they may cause interference but it is not specific. Most state that the device meets some FCC shielding requirements. The second major issue is allegedly helmet mounts affect the helmet’s ability to protect your head. The helmet mount issue started with a news report that the GoPro cameras mount caused the helmet being worn by Formula 1 racer Michael Schumacher led to his injuries in a skiing accident. See Michael Schumacher’s Ski Accident Brain Injury Said to Be Caused by his GoPro Helmet Cam. The mount was a stick on mount. If stick on mounts affects helmets, goggle holders, stickers and dozens of other things we attach to helmets may be subject to litigation. Supposedly, the French investigation into this did not lead to any problems. I think a better lawsuit might be the brain damage any video camera does to the wearer. Put on a video camera and you seem to do stupid things. Just go to YouTube.com and you’ll find hundreds of videos proving this legal theory. PRIOR HISTORY: [**1] Appeal from the United States District Court for the Northern District of Georgia. No.1: 85-cv-2658-CAM; Moye, Jr., Judge. COUNSEL: Robert H. Benfield, Jr., Middleton & Anderson, Atlanta, Georgia, for Appellant. For Trek Bicycle: Stephen F. Dermer, Smith Gambrell & Russell, Atlanta, Georgia. For Bicycle South: Jonathan Mark Engram, Swift Currie McGhee & Hiers, Thomas E. McCarter, Atlanta, Georgia. 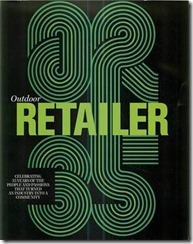 For Opportunities, Inc.: Tommy T. Holland, Carter & Ansley, Christopher N. Shuman, Atlanta, Georgia. For Skid Lid: Palmer H. Ansley, Long Weinberg Ansley & Wheeler, David A. Sapp, Atlanta, Georgia. JUDGES: Clark, Circuit Judge, Morgan and Hill, * Senior Circuit Judges. * See, Rule 34-2(b), Rules of the U.S. Court of Appeals for the Eleventh Circuit. This appeal concerns a products liability action based upon alleged breach of warranty, strict liability, and negligence resulting in injuries to Lois Elaine Wilson (“Wilson”), appellant. Wilson incurred head injuries during an accident in Georgia while on a cross-country bicycle trip. The jury returned a verdict in favor of Wilson and against one defendant on a bicycle helmet defect claim, and against Wilson and in favor of three defendants on a bicycle wheel defect claim. The district court granted a judgment notwithstanding the verdict on the helmet claim. Plaintiff appeals [*1505] this grant and also alleges several other errors by the district court concerning the bicycle wheel claim. We hold that the trial court did not err in granting the JNOV. Nor do the trial judge’s comments on the evidence provide cause for reversal. Similarly, we find appellant’s third and fourth contentions to be meritless. On January 6, 1983, appellant purchased a Trek 614 touring bicycle. Trek Bicycle Corporation (“Trek”) manufactured the bicycle, Opportunities, Incorporated (“Opportunities”) assembled the bike’s rear wheel according to Trek’s specifications, and Bicycle South, Inc. (“Bicycle South”) sold the bike to appellant. The latter three parties will be referred to collectively as “the bicycle defendants.” On February 9, 1983, appellant also purchased, from a company not a party to this lawsuit, a bicycle helmet manufactured by Skid Lid. Rather than purchase a helmet covering her entire head, appellant chose [**3] one that only covered the top half of her head, coming down to about the top of her ears. Wilson purchased the bike and helmet for a cross-country bicycling trip from Florida to California. Eight days into her trip, on April 23, 1983, Wilson sustained head injuries in a fall from the bicycle while she was riding downhill on a two-lane Georgia highway between Plains and Americus, Georgia. Between January 6 and April 23, Wilson had ridden approximately 1200 to 1600 miles on the bicycle. 1 The actual cause of the fall does not affect the issues currently before this Court. [**4] The point of initial impact between Ms. Wilson’s head and the pavement was behind her left ear and below the edge of the helmet. As a result of the impact, she claims that she sustained three injuries. The first two, a basilar skull fracture and occipital scalp laceration, were not particularly serious and do not comprise the more serious damage. The more serious injury was a “contre-coup” (an injury to the opposite side of the head from the point of initial impact) brain contusion. Alleging defects in the bicycle wheel and helmet, Ms. Wilson filed a complaint in this products liability action based upon breach of warranty, strict liability, and negligence. During the trial, appellant attempted to introduce evidence of a prior bicycle wheel defect claim brought by another party against Trek, Opportunities, and another bicycle store, alleging that the incidents were substantially similar. The trial court excluded the earlier incident. As a federal judge, I have the right, power, and duty to comment on the facts, to express my opinion with respect thereto . . . but remember, in the last analysis, every factual issue [**5] in this case must be decided by you, by you alone, and anything that anybody else in this room says [*1506] about the facts is a mere opinion, not binding upon you. Let me stress as strongly as I can that you, the jury, are the sole and only judges of the facts. The past several minutes I have been giving you [**6] my opinion with respect to matters committed solely to your decision, not mine. My comments are and can only be expressions of a personal opinion and are not binding on you in any way, shape, or form. Remember that in considering every issue in this case, including those to which I have just alluded, you must resort to your own recollection of the evidence, not that which I have just stated. . . . You must, in the diligent performance of your duty, rely on your recollection of all the evidence and not merely that which I may have called to your attention and emphasized. 2 The trial judge focused especially on items of derogatory information with respect to appellant’s expert, Mr. James Green. On April 13, 1989, the jury returned a verdict in favor of appellant against appellee Skid Lid in the amount of $ 265,000 on the helmet claim. On the bicycle wheel claim, the jury returned a verdict against appellant and in favor of the bicycle defendants. In applying this standard for the sufficiency of evidence, we also look to Georgia substantive law to determine whether Skid Lid deserved judgment as a matter of law. See Erie v. Tompkins, 304 U.S. 64, 58 S. Ct. 817, 82 L. Ed. 1188 (1938); Salter v. Westra, 904 F.2d 1517, 1524 (11th Cir.1990). Defendants in products liability actions have asserted two similar defenses in attempting to steer clear of liability, assumption of the risk and the “open and obvious [**8] rule.” 3 While the trial judge in this case based the JNOV on assumption of the risk, we also address the open and obvious rule because affirmance of the JNOV is proper even if based on a different rationale. See Paisey v. Vitale, 807 F.2d 889, 890 (11th Cir.1986). 3 This rule is also known as the “patent danger rule” and has its roots in a New York decision involving negligence law, Campo v. Scofield, 301 N.Y. 468, 95 N.E.2d 802 (1950). New York later abandoned the rule in Micallef v. Miehle Co., 39 N.Y.2d 376, 384 N.Y.S.2d 115, 348 N.E.2d 571 (1976). 4 We note that Georgia courts have been careful to avoid treating the American public as children where a peril is obvious or patent and the product thus not defective. In Weatherby, the five-year old plaintiff had been a passenger on an off-road motorcycle that did not have its gas cap in place. During the ride over uneven terrain, gasoline splashed from the open tank and ignited, causing burns to the plaintiff. The court found that an open fuel tank “surely suggests the possibility of spillage,” that because the fuel tank is located above the engine “gravity can be anticipated to bring the spilled fuel in contact with the engine and spark plug,” and that the dangers of spilled gasoline coming into contact with an engine are generally known. 393 S.E.2d at 67. The court consequently concluded as a matter of law that the peril of an open fuel tank resting over the engine and its spark plug was “an obvious or patent peril,” and that the product was thus not defective. Id. at 68. [**12] Even if the failure to cover the full head were a defect, it is still beyond peradventure that appellant assumed the risk of injury to the parts of her body patently not covered by the helmet. [HN3] Under Georgia law, “‘if the user or consumer discovers the defect and is aware of the danger, but nevertheless proceeds unreasonably to make use of the product, he is [*1508] barred from recovery. '” 5 Center Chemical Co. v. Parzini, 234 Ga. 868, 870, 218 S.E.2d 580 (1975) (citation omitted). The first part of the test, actual knowledge of the defect and danger, is fulfilled because appellant had subjective knowledge that the helmet she purchased only covered a portion of her head. Had appellant, somehow, been unaware that the helmet only partially covered her head, the result might be different. As counsel for appellant admitted at oral argument, however, there is no evidence that she thought the helmet covered more of her head than it did cover, or that she believed it would protect her from injury to parts of her body not covered. Nor do we find, after our careful review of the transcript, any testimony to that effect. As for the second portion of the test, unreasonable use, it seems axiomatic [**13] to say that it is unreasonable to use a helmet to protect a portion of the body that the helmet clearly does not cover. 5 This test, in contrast to the open and obvious rule, looks to the subjective perceptions of the user or injured party. 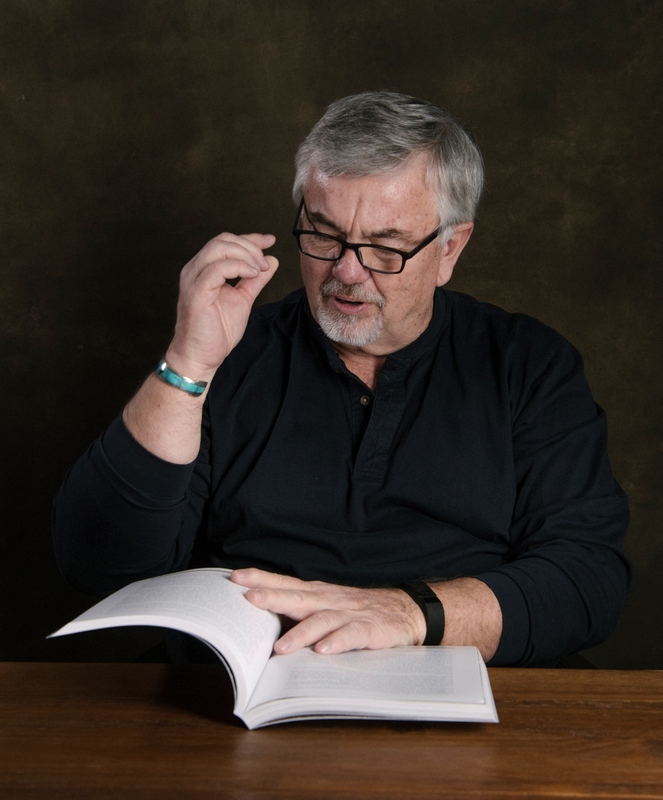 Another difference between assumption of the risk and the open and obvious rule is that while the latter places the burden of proof on the plaintiff, the former places it on the defendant. Weatherby, 393 S.E.2d at 66. See also Annotation, Products Liability: modern status of rule that there is no liability for patent or obvious dangers, 35 A.L.R. 4th 861, 865 (1985) (discussing open and obvious rule and the differences from assumption of the risk). In sum, the district judge properly granted appellee Skid Lid’s motion for a JNOV. The trial judge will not be reversed unless his comments “excite a prejudice which would preclude a fair and dispassionate consideration of the evidence.” Id. at 472, 53 S. Ct. at 700. See also United States v. Hope, 714 F.2d 1084, 1088 (11th Cir.1983) (“[a] trial judge may comment upon the evidence as long as he instructs the jury that it is the sole judge of the facts and that it is not bound by his comments and as long as the comments are not so highly prejudicial that an instruction to that effect cannot cure the error”). 6 It is only where [*1509] this prejudice exists that the substantial rights of the parties are affected and Fed.R.Civ.P. 61 permits disturbing a judgment. 7 In assessing whether this prejudice exists and has affected the parties’ substantial rights, we consider the record as a whole and not merely isolated remarks. See Newman v. A.E. Staley Mfg. Co., 648 F.2d 330, 334-335 (5th Cir. Unit B June 1981). “The test is not whether the charge was faultless in every particular but whether the jury was misled in any way and whether it had understanding of the issues and its duty to determine those issues.” Bass v. International [**16] Bhd. of Boilermakers, 630 F.2d 1058, 1065 (5th Cir.1980) (citations omitted). 6 Other circuits have adopted similar language regarding a trial judge’s right to comment on the evidence. See, e.g., White v. City of Norwalk, 900 F.2d 1421 (9th Cir.1990); Johnson v. Helmerich & Payne, Inc., 892 F.2d 422 (5th Cir.1990); Vaughn v. Willis, 853 F.2d 1372 (7th Cir.1988); United States v. Munz, 542 F.2d 1382 (10th Cir.1976), cert. denied, 429 U.S. 1104, 97 S. Ct. 1133, 51 L. Ed. 2d 555 (1977); Mihalic v. Texaco, Inc., 377 F.2d 978 (3d Cir.1967); Meadows v. United States, 144 F.2d 751 (4th Cir.1944); A number of practitioners and commentators have also assessed the role of the judge in a jury trial. See, e.g., Bancroft, Jury Instructions, Communications, Juror Substitutions and Special/Partial Verdicts: Selected Topics — The Principal Law, 340 Prac.L.Inst. 611 (1987); Loeffler, Project — Seventeenth Annual Review of Criminal Procedure: United States Supreme Court and Courts of Appeals 1986-1987 (III. Trial: Authority of the Trial Judge), 76 Geo.L.J. 986 (1988); Murphy, Errors in the Charge, 14 Litig. 39 (1988). Appellants allege that the district judge went too far in commenting on the evidence and on the testimony of their expert, Mr. Green. We do not doubt that a trial judge could misuse his authority. 8 After careful review of the record, however, while we are not prepared in this case to suggest the outside limits on a trial judge’s comments, we are satisfied that the district judge here did not overstep his bounds. As recounted in Part I.B. of this opinion, he went to great lengths to assure that the jury understood that it was the sole fact-finder in the case. 9 When his remarks are considered in their entirety, on the facts of this case we find no prejudice affecting the substantial rights of the parties. He knows the jury, knows how to play on their passions, on their prejudices, as no living man that I have seen could do it; he has a faculty for marshalling evidence that I have never seen another living man able to marshal; and in that Greene & Gaynor case he charged that jury for eight hours and I will challenge any six prosecuting attorneys in the United States, from the Attorney General down, all of them together, to take that mass of testimony taking three months’ time that Judge Speer heard, and then put it down in as ingenious an argument against the defense as Judge Speer put it in that thing. It was a masterpiece of oratory, but a very poor thing when you come down to look at it from a judicial standpoint. H. Res. 234, 63rd Cong., 2d Sess. (1914) (Minority Report of Representative Volstead). Since, Quercia, many appeals courts have overturned cases where the trial judge has gone too far. See, e.g., Bentley v. Stromberg-Carlson Corp., 638 F.2d 9, 11 (2d Cir.1981) (trial judge’s comments to the jury gave all the arguments for the defendant, being “tantamount to directing a verdict” for defendant); McCullough v. Beech Aircraft Corp., 587 F.2d 754, 761 (5th Cir.1979) (trial judge’s mistaken assertions virtually destroyed appellant’s circumstantial case, requiring reversal); Maheu v. Hughes Tool Co., 569 F.2d 459, 471-472 (9th Cir.1978) (trial judge’s comments amounted to “personal character reference” for witness and thus “went too far”). 9 It seems that the jurors responded to the trial judge’s direction that they were the sole fact-finders. The judge brought to their attention that appellant’s expert had been prepared to testify that the helmet was defective because of one set of facts and then shifted his reasoning when that set of facts was disproven; nevertheless, the jury still awarded appellant $ 265,000 against the helmet manufacturer. In this case, as in every case, there are the two big main issues: one, liability, and, two, the amount of any damages proximately flowing therefrom. The plaintiff has the burden of proving each and every element of the plaintiff’s case. The plaintiff’s entire case here, and in meeting the elements which must be proved, rests upon the expert testimony, [*1510] that is, the expert opinion, of Mr. Green. Except for Mr. Green’s testimony, the plaintiff [**19] has not made out a case of liability. With Mr. Green’s testimony, the plaintiff has made out a legal case on liability; therefore, the court suggests that the first, immediate, and crucial issue in the case for you to determine is the credibility or the believability of Mr. Green. After studying the record, we find no merit in appellant’s contention. We are inclined to agree with the trial judge that, without Mr. Green, the case would not have been one for the jury. In sum, we find that on the facts of this case the trial judge’s comments to the jury, when taken as a whole, neither excited a prejudice affecting the substantial rights of the parties nor incorrectly instructed the jury. Appellant argues that the trial court erred by refusing to admit evidence of the collapse of another wheel manufactured by appellees Trek and Opportunity. Appellant sought to show appellees’ notice of a defect in the wheel, the magnitude of the danger, appellees’ ability to correct a known defect, the lack of safety for intended purposes, the strength of the product, the standard of care, and causation. 10 The cause of the alleged similar incident had never been established because that case settled out of court. The parties in the instant case vigorously dispute the actual cause, demonstrating that even had the trial court reached the issue of whether the two incidents were similar this issue would have required a trial within a trial. 11 Because of our disposition of this issue, we need not reach the question of whether the two incidents were actually similar, and if so, whether the prior incident would have been properly excluded under Fed.R.Evid. 403. In his [**21] instructions to the jury, the judge included a charge on “legal accident.” 12 To determine whether such a charge is appropriate, we first look to Georgia substantive law. See Erie v. Tompkins, 304 U.S. 64, 58 S. Ct. 817, 82 L. Ed. 1188 (1938); McCullough v. Beech Aircraft Corp., 587 F.2d 754, 759 (5th Cir.1979). [HN8] Georgia law permits a charge on “legal accident” where there is evidence in the record authorizing a finding that the occurrence was an “accident.” 13 Chadwick v. Miller, 169 Ga. App. 338, 344, 312 [*1511] S.E.2d 835, 840 (1983). 14 Where appropriate, the charge is valid in a products liability case. Kemp v. Bell-View, Inc., 179 Ga. App. 577, 579, 346 S.E.2d 923, 926 (1986). Now, let me tell you that the mere fact that an accident happened or an occurrence happened from which injury stemmed standing alone does not permit a jury to draw any inference that the occurrence was caused by anyone’s negligence or by any defect. Now, I have used the word “accident” loosely, as I think is commonly the practice, is interchangeable with the word occurrence producing injury, but in Georgia law accidental injury means, in connection with personal injury actions such as this, any injury which occurs without being caused by the negligence either of the plaintiff or of the defendants. The idea of accident removes responsibility for the cause of the injury if found to have occurred by reason of a legal accident as defined under Georgia law, that is, one which is caused by the negligence neither of the plaintiff or the defendants. It is necessary that you find from a preponderance of the evidence in this case, in order to find for the plaintiff, that the occurrence and/or resulting injuries were the result of defect and/or negligence and/or breach of warranty to the exclusion of legal accident, as I have defined that term to you, because the plaintiff has the burden of proof, as I will charge you later, to demonstrate by a preponderance of the evidence that the occurrence did, in fact, result from defect and/or negligence and/or breach of warranty, to the exclusion of legal accident. 13 [HN9] “Accident” is defined as “an occurrence which takes place in the absence of negligence and for which no one would be liable.” Chadwick, 169 Ga. App. at 344, 312 S.E.2d 835. 14 Appellant cites Seaboard Coastline R.R. Co. v. Delahunt, 179 Ga. App. 647, 347 S.E.2d 627 (1986), for the proposition that a charge on “legal accident” can be given only where there is no evidence of negligence on the part of either party. The Georgia Court of Appeals recognized in Stiltjes v. Ridco Exterminating Co., 192 Ga. App. 778, 386 S.E.2d 696, 697 (1989), however, that Delahunt had misstated the law in Georgia. Because the manner of giving jury instructions is procedural rather than substantive, it is governed by federal rather than state law. McCullough, 587 F.2d at 759. In reviewing alleged errors in jury instructions, we must determine whether the trial court’s charge, considered as a whole, “sufficiently instructs the jury so that the jurors understand the issues involved and are not misled.” Mark Seitman & Assocs., Inc. v. R.J. Reynolds Tobacco Co., 837 F.2d 1527, 1531 (11th [**23] Cir.1988) (citation omitted). We will only reverse if we are left with “a substantial and ineradicable doubt as to whether the jury was properly guided in its deliberations.” Id. (citation omitted). After careful review, we find evidence in the record that supports a charge on legal accident as defined by Georgia law. We are therefore satisfied that the district judge properly guided the jury with respect to this issue. MIPS AB, the patented Multi-directional Impact Protection System, will be launched in more than 20 new helmet models this year alone. MIPS will be available in helmets across all categories including road, mountain, commuter, youth and women’s bike helmets from 661, Fox, Lazer, POC, Scott Sports, Smith Optics, Sweet Protection, Triple 8, and more. Great photo essay of a Ropes course showing everyone with helmets designed to protect only from above. Climbing helmets only protect from drops. What falls from the sky? 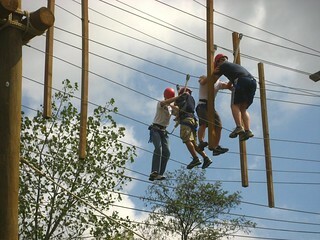 A photographer did a great job of showing a group of people having a great time on a rope’s course in Granville, Ohio. The course and setting are beautiful. Everyone is wearing helmets. All the helmets in the photographs are climbing helmets. Climbing helmets were designed for rock climbing. They were designed to protect you from a rock falling on your head. They are also tested to make sure if you fall and wedge your head in a crack because of your helmet the helmet will come off. The only things I can see in the photographs that might fall on the people’s heads are trees. If a whole tree falls on you, there is not much you can do. Dependent upon the size of the tree limb, the helmet may or may not help you much. But why? Why do you wear a helmet on a rope’s course? Based on this, shouldn’t all groups hiking in the woods wear helmets? An attempt to divert criminal prosecution or is there something to gluing cameras on helmets weakening the helmet. Remember Europe has a different system of enforcement of laws to keep people safe than the US. Where we would sue, Europe regulates and if you violate the regulation you are criminally charged. The article states that the head injuries to Michael Schumacher the famous race car driver might have been caused by his camera changing the effectiveness of his helmet. Schumacher, an experienced skier, was travelling at a moderate speed when he fell and hit a rock. His skis were new; his bindings have been subsequently tested and were not at fault; he was fully in control of his movements as he left the marked pistes and traversed the patch of snow in-between two groomed runs in Meribel. But now investigators believe that they may have found a reason for the seriousness of the crash. They think that his helmet camera could have actually worsened the blown, and caused the helmet to shatter into pieces. Experts from ENSA, the world-renowned ski and climbing academy in the French ski resort of Chamonix, have conducted tests to determine whether the presence of a solid object between a helmet colliding with a rock would weaken the structure. The helmet smashed – but the camera he had attached to it, in order to record him and his son skiing, was undamaged. The footage, audio and visual, has provided police with crucial information about the crash. “The helmet completely broke. It was in at least two parts. ENSA analysed the piece of the helmet to check the material, and all was OK,” said a source close to the investigation. The following, however, maybe the real reason for the statements. Lawyers had argued that managers of the ski resort might face up to three years in prison because the dangers lurking within the off-piste section were not properly marked. Off-piste, usually meaning out of bounds or off trail here sections of the ski area where Mr. Schumacher fell might not have met the necessary requirements. Think. Although it is not outside the realm of possibility, it is hard to determine why a camera mounted on a helmet would affect the helmet’s performance. On top of that, ski helmets are designed to break. In fact most helmets only are effective once they break. Believe me, as you know helmets are a real issue in my opinion. But to blame the injury on the helmet or the camera I think is just a way to dodge a criminal charge or change public opinion about the incident. SeeMichael Schumacher skiing crash: did helmet camera cause head injuries? I am dismayed that some manufacturers, and many retailers sell helmets on price. A study recently showed that two helmets that both passed the requisite test, protected people from concussions at vastly different rates. Are you selling protection to people or just satisfying their need to think they are protecting themselves or their children? The study was written about in Study Shows Concussion Risk ‘Dependent on Helmet’. The study can be found in the Journal of Neurosurgery and was titled “Can helmet design reduce the risk of concussion in football? : Technical note”. Simply stated a comparison was made between two helmets manufactured by the same company. Both helmets met all the requirements to be sold and used playing football. However, one helmet had 54% fewer concussions by the players than the other! Buying a helmet is not just putting something on a kid’s head and saying it looks good or is “pretty.” As a retailer, you have no legal obligation, but I think a great big ethical obligation to inform parents and purchases that there is a difference in the protection that helmets can provide. There are helmets that are doing more than just passing the required tests. Giro has a new helmet for skiing: Combyn™ helmet has a softshell design creating a greater range of hits that can be protected as well as greater over-all coverage for your head. Kali Helmets: Kali is coming up with some new ideas in helmet technology that will change the way helmets perform. MIPS: If you need a helmet for any sport that is not a DOT helmet, get one with MIPS inside. Testing shows it will make a difference. If you are serious about protecting your head, you need to drop the cash necessary to get a good helmet. Find out what each helmet does and which one fits. Don’t worry about what it looks like. A helmet’s job is to keep your head looking the same way, so don’t worry about how you look wearing the helmet. Just be happy to take it off.